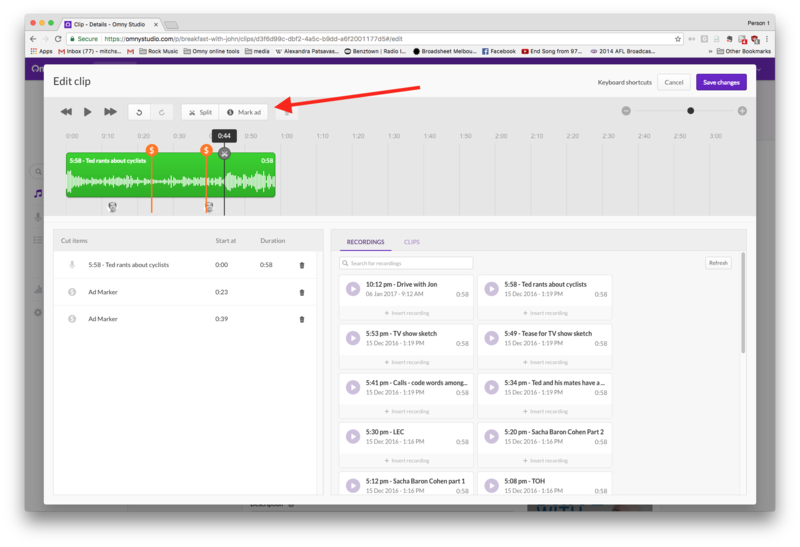 Drop markers for your audio ad-server to inject an ad. If you have an ad server connected to your Omny Studio account, you're ready to start dropping markers for ad insertion. 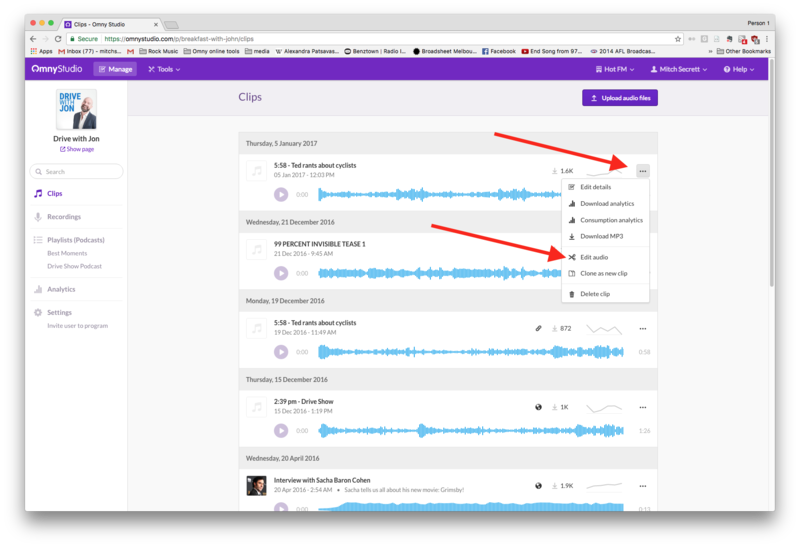 1) Click the three dots next to the clip you wish to insert ads and then click "edit audio" - this will open the inline audio editor where you can drop ad markers.